I like pies made with shortening and pies made with butter for different reasons. Pies made with shortening (I use a mix of regular and butter flavored) seem to get the most compliments because people hone in on the super flaky texture; but I personally love the flavor of butter crusts. Of course making a flaky, pre-baked butter crust that doesn’t shrink takes a little practice and attention to detail. To get a great texture and avoid shrinkage, I try to use the following tricks. — Letting the dough relax through various stages. 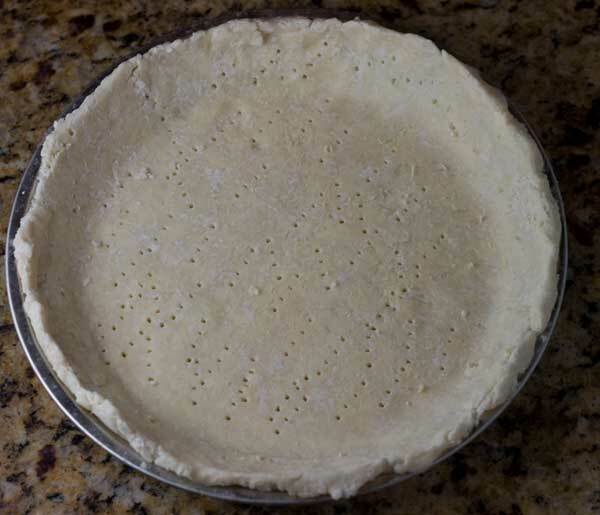 Pie crust is a great make-ahead item. Additionally, a food processor really comes in handy, but I don’t like cleaning it so I only pull my processor out if I’m making multiple crusts or need it for something else. So this recipe is made by hand, but feel free to bring in the processor.